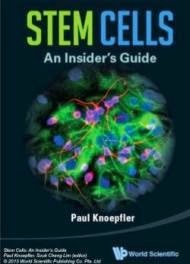 A new study, published in the Neural Regeneration Research, indicates that novel nanofiber scaffolds could promote the proliferation of spinal cord-derived neural stem cells and inhibit apoptosis without inducing differentiation. Nanofiber scaffolds regulate apoptosis and proliferation in neural stem cells by altering gene expression. The surface characteristics of nanoscaffolds made by nanotechnology are more similar to the three-dimensional topological structure of the extracellular matrix and the effects on the biological behaviors of cells and tissue repair are more beneficial. 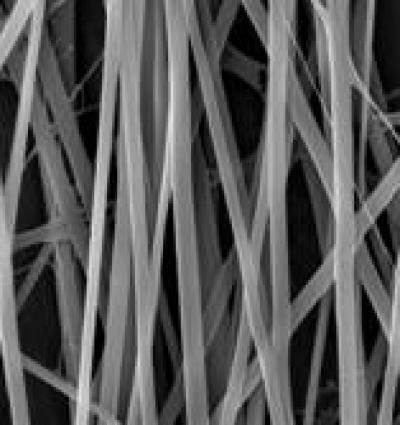 Dr. Jihui Zhou and team from the Fifth Hospital Affiliated to Qiqihar Medical University prepared aligned and randomly oriented collagen nanofiber scaffolds using electronic spinning technology. The diameters and appearance of prepared scaffolds reached the standards of tissue-engineered nanometer scaffolds. 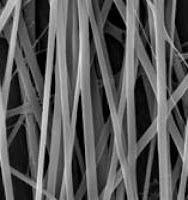 The nanofiber scaffolds were characterized by a high swelling ratio, high porosity and good mechanical properties. The proliferation of spinal cord-derived neural stem cells on novel nanofiber scaffolds was obviously enhanced. The expression levels of cyclin D1 and cyclin-dependent kinase 2 were increased. Bcl-2 expression was significantly increased, but Bax and caspase-3 gene expressions were obviously decreased. There was no significant difference in the differentiation of neural stem cells into neurons on aligned and randomly oriented collagen nanofiber scaffolds.